A place with classic decor and spacious rooms. 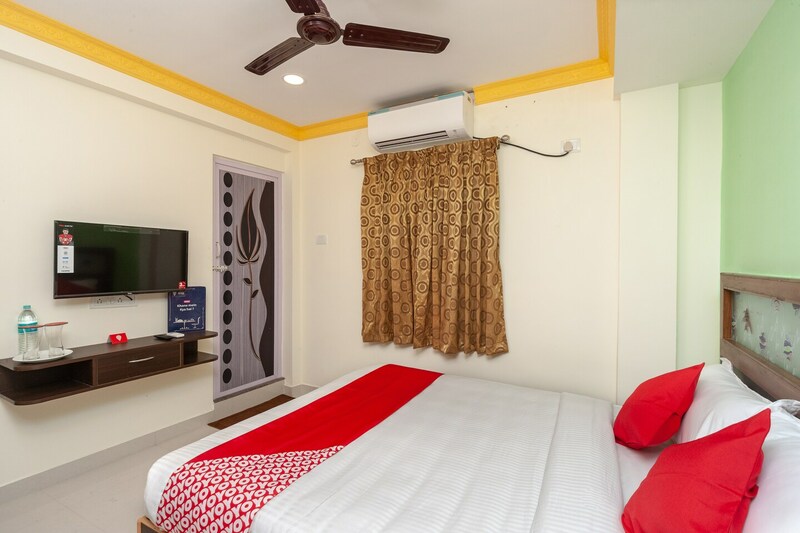 Sai Sasi Residency is a fine hotel with an ambience that exudes warmth and cheerfulness. The bedrooms at the hotel are simple with light colored walls and dark colored furnishings, keeping the room light and warm. In addition to the basic furniture, the rooms also have a window which lets in sunlight and fresh air. A seating area and a banquet hall are made available for the guests to make use of whenever they want. The hotel provides its guests with free Wi-Fi and power backup so that they are connected with the rest of the world during their stay at the hotel. Other amenities offered by the hotel are parking facility and a card payment option.